I love California, I always say that if I were to ever move from Miami (which I doubt that will ever happen) I would move to California. 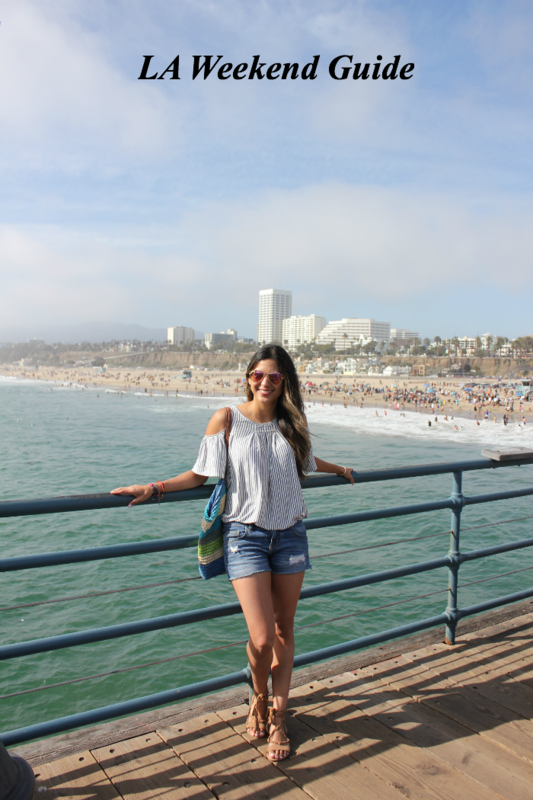 I recently had the chance to take a little weekend getaway to explore LA as a Hampton by Hilton Seekender. You might recall that I teamed up with them two years ago to be part of their Ultimate Seekender Team. So far, I’ve had the amazing opportunity to explore Myrtle Beach, South Carolina and San Diego, California. So what is a Seekender you might ask? Well a Seekender is someone who sees a weekend as a new opportunity for adventure and spontaneity. Simply put, a weekend is all it takes to reset, explore, follow passions, and create lifelong memories with loved ones, which I’m ALL about! I’ve only been to LA on work trips, which included a quick trip to do a TV segment and another for a social media conference. But it’s been on my list of places I’ve wanted to visit for a while. Oh and after watching the movie La La Land the urge became that much greater haha. So finally, two weeks ago we packed up our bags and headed to sunny LA. 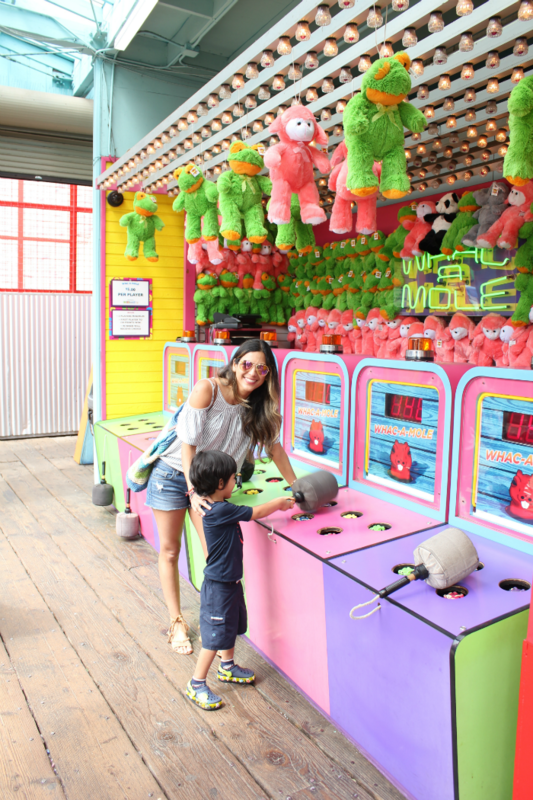 A few days in advance I started planning out our itinerary, which included several family-friendly activities since I was traveling with my four-year old. We arrived on Friday afternoon and after renting a car, we headed straight to our Hampton by Hilton hotel in LA. We were greeted by the friendly-staff who is always so helpful and even offered us tips on where to grab dinner nearby. We also took advantage of the free coffee and tea that was in the lobby. In case you’re not familiar with Hampton by Hilton, one of their many perks is that they always have coffee and tea waiting for you in their lobby (and after a 5-hour flight it was much needed). Since the next day our schedule was pretty packed with a trip to Disneyland, we decided to stay in the hotel and relax. We even took a little dip in the pool to unwind. The next day, we woke up around 7 AM to start getting ready to head to the ‘Happiest Place on Earth!’ We grabbed breakfast downstairs, which is also complimentary at Hampton by Hilton. Andy and I had a hearty oatmeal packed with fresh fruit, while Julio had some yummy waffles with scrambled eggs. 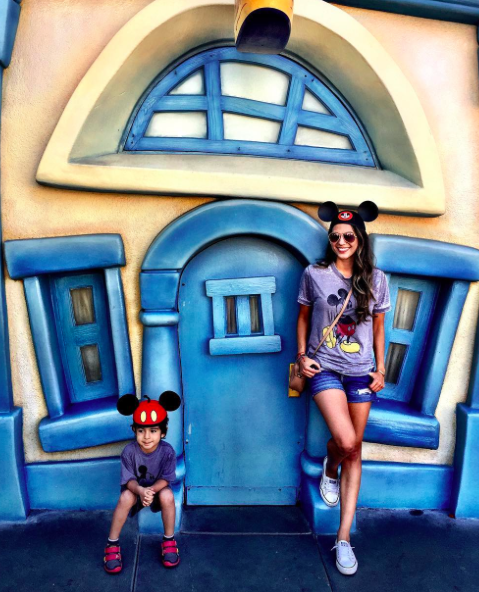 Our visit to Disneyland was definitely one of the most memorable parts of our trip to LA.When Andy turned four, I really wanted to take him to DisneyWorld in Orlando (especially since it’s only a few hours away from Miami). But to be honest, it was very hard for me since it was one of the last trips we took with my late husband before he passed. 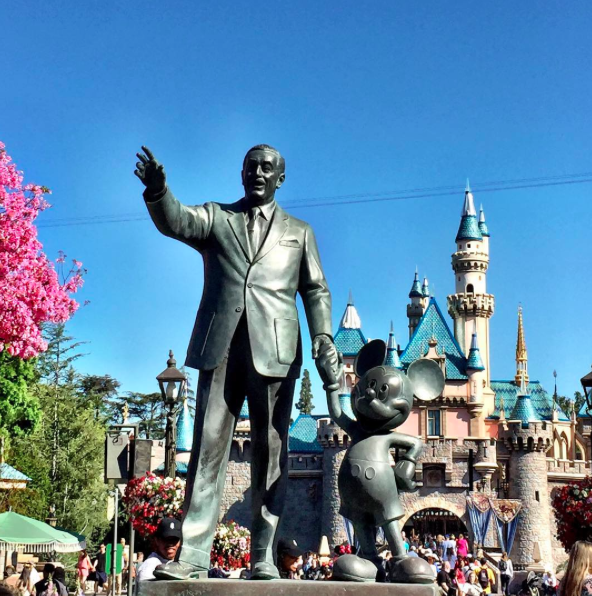 Visiting Disneyland in Los Angeles was very meaningful, because in a way it symbolized creating new memories with my "new beginning" (at a new park we had never visited before) while still honoring my past. Andy’s eyes lit up seeing Mickey Mouse and I can already tell he’s going to be a little thrill seeker. One of his favorite rides was the Big Thunder Mountain roller coaster. The next day, following our already exciting trip to Disneyland it was time for more exploring with a visit to Venice Beach, Santa Monica, The Griffith Observatory (and a hike). We really don’t play around when it comes to exploring and being a Seekender haha. I still can’t believe we managed to squeeze all that into one day, but it actually worked out perfectly. Although the day was pretty foggy (not really a beach day) we still had a lot of fun walking around Venice Beach. Andy loved seeing all the skate boarders. Quick Tip: You probably need about 1-2 hours max to explore Venice Beach. Be sure to get there early so you can get good parking. After that we headed to the Santa Monica Pier. If you haven’t been, I highly recommend you check it out when visiting LA (especially if you’re traveling with little ones). It’s filled with fun carnival style games, food, street performers and just an overall lively atmosphere. 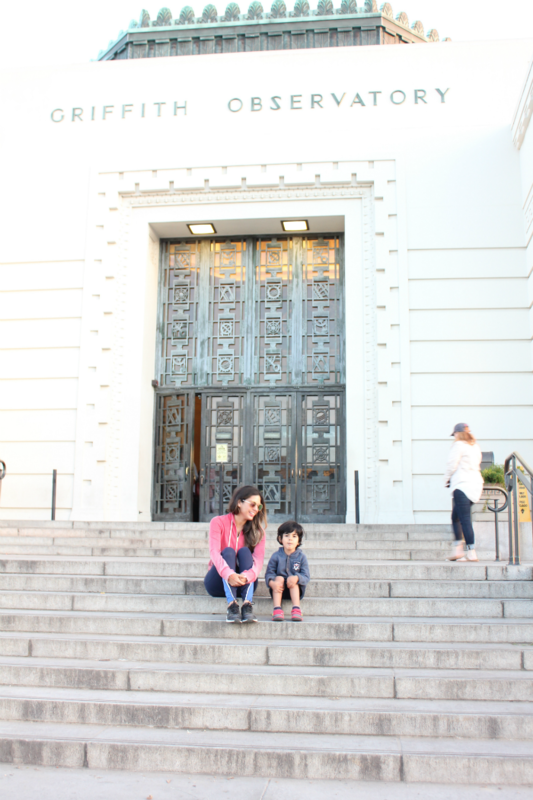 And of course, you can’t leave LA without checking out the Griffith Observatory. We got there around 5 PM (they close at 10PM). The parking at the top was closed, so we ended up parking about 1/2 a mile down the hill and hiked our way to the observatory (which was so much fun). They also had shuttles, which take you back to the parking lot. The views are absolutely stunning and it’s also a great place to see the Hollywood sign. We got there just in time to see the sunset, which was breathtaking. Andy LOVED the Planetarium show, which lasted about 40 minutes. The telescope is also available to guests in the evening. We got to see Saturn and Jupiter, which was pretty cool. Quick Tip: The minimum age for the Planetarium show is five years old. Since Andy is four I had to say he was five hehe. But of course, Andy overheard me and yelled “Mommy, I’m five now?” Oops, luckily they still let him in. I’ll be sharing Part II of my weekend in Los Angeles as a Seekender with Hampton by Hilton, so be sure to stay tuned! In the meantime, you can book your own Seekender trip here.